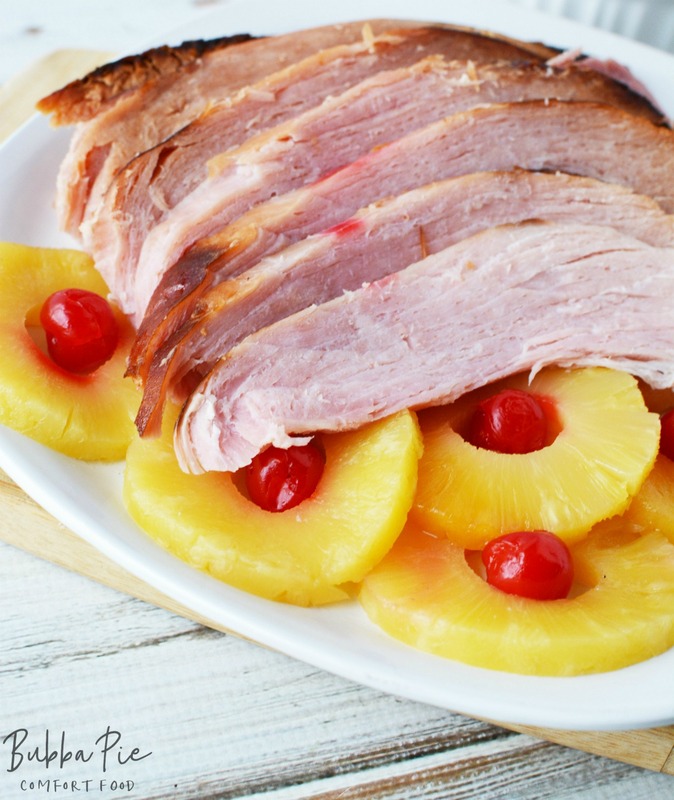 This Slow Cooker Ham with Pineapple is perfect for the holidays or any special family dinner. 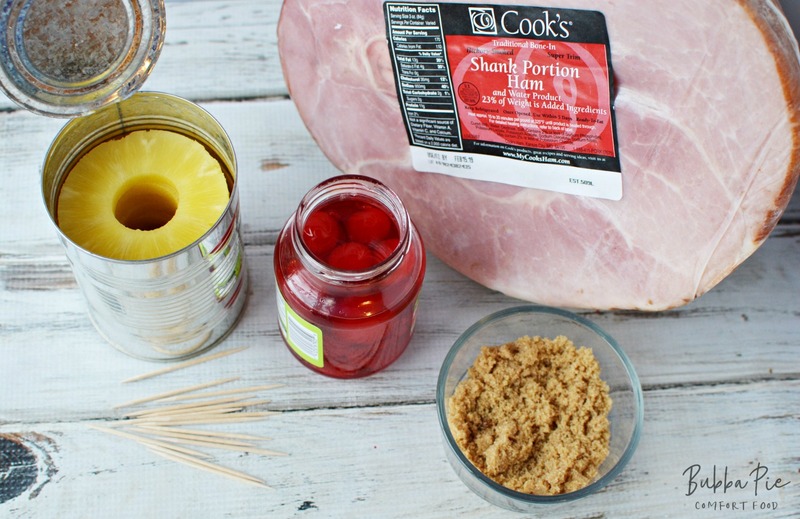 Cooking Ham in a Crock Pot is easy, delicious and the meat practically falls apart on your fork! 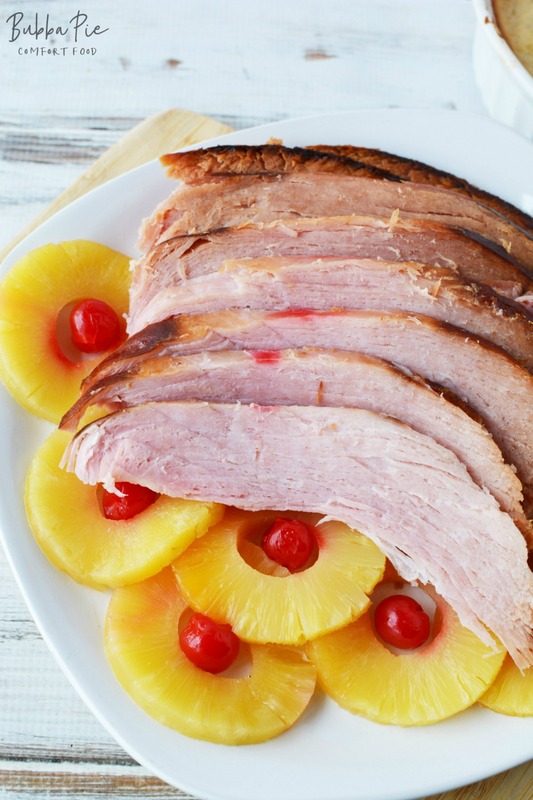 Now that we are finally beating winter back and Spring is right around the corner, this Slow Cooker Ham Recipe is the perfect thing. 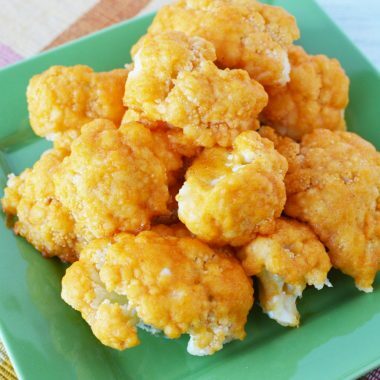 I’m so done with winter and I’m ready for fun, bright recipes like this. Sure, the temperatures are still in the 30’s and we are lucky to see the sun here in the Midwest, but it was actually almost light out when my kids got on the bus at 6:50am this morning. That has to be a good sign, right? I swear during the winter, I feel like they are going to school in the middle of the night because it is so dark outside in the morning! As Spring comes, so do some great holidays. Both St. Patrick’s Day and Easter are some of my favorite holidays of the year. There is something about them that is so festive, fun and full of hope. They also give me an opportunity to eat some seriously yummy food. 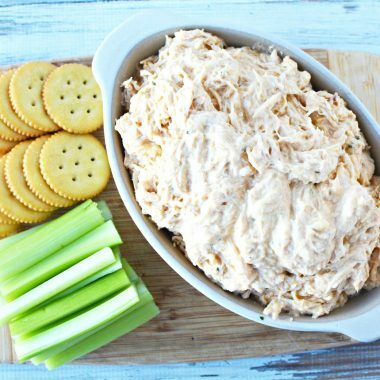 Here at Bubbapie, we take full advantage of any holiday that lets us try out some great comfort food to feed to our friends and family. 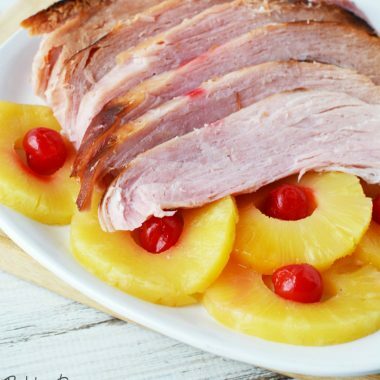 One classic dish is Slow Cooker Ham with Pineapple. 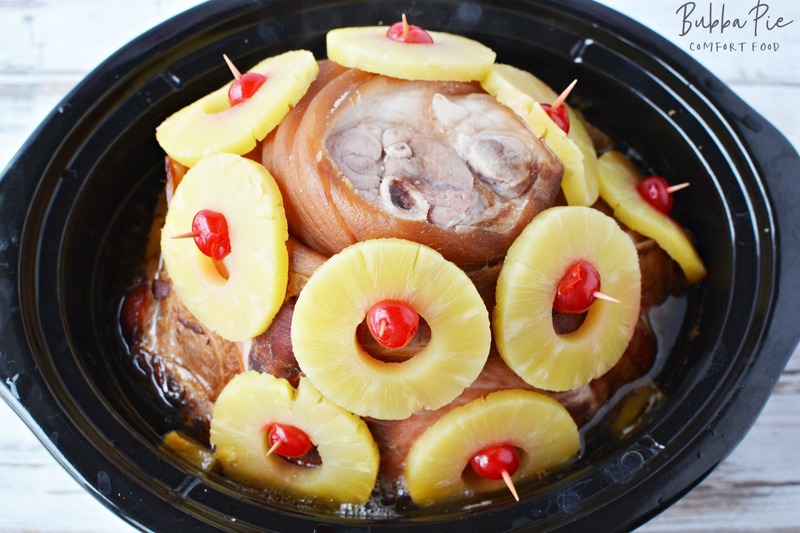 Why Cook Ham In A Slow Cooker? I love cooking just about everything in my slow cooker, but cooking ham in a Crock Pot is a great idea for several reasons. 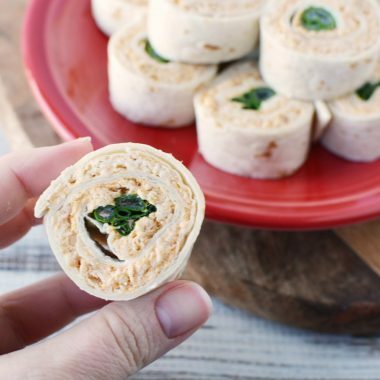 First of all, it will free up oven space for other dishes that you may need to make. If, like me, you are making this for Easter, you may have a casserole or some fresh biscuits that your are baking. I don’t have one of those fancy double ovens, so my oven space is sacred! Cooking Ham in a Crock Pot is also incredibly easy. You basically just put the ingredients in, turn it on and let it do it’s thing! 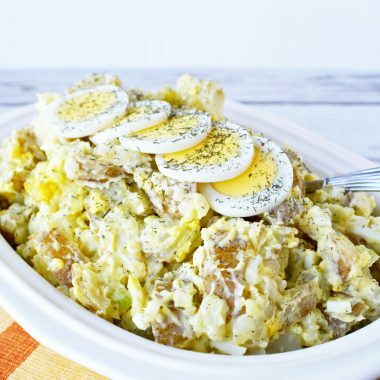 Preparing an Easter dinner can be hectic and you will probably entertaining friends and family too, so knowing that your main dish is preparing with little or no oversight from you is super awesome! Slow Cooker Ham also stays warm for as long as you need it to. Once it is done cooking, just leave it in there and it will be ready to eat whenever your guests are and it will stay warm throughout the meal. No more having to time everything perfectly to make sure it all finishes cooking at the same time! What Kind Of Ham To Use In A Slow Cooker? It doesn’t really matter. I’ve seen recipes calling for a Slow Cooker Spiral Ham, a boneless ham or a ham shank with the bone in. For this recipe, I am using a ham shank with the bone it. Obviously, cooking the meat with the bone in will give you a better result, so I’d definitely suggest doing that. Ham bones can also be used to flavor all sorts of other dishes such as soups as well. You also can’t go wrong with a sprial ham, these are pre-cut to make serving easy. The other benefit of the spiral ham is the the juices can seep in between the slices during cooking to add some extra flavor. When deciding how much ham to buy, you can usually count on each guest eating 3/4 lb of bone-in ham. If you have a lot of kids coming over, you can probably reduce that. But I’d aim high, there is nothing wrong with lots of leftovers to make ham sandwiches the next day. While at the store, also take into consideration the size of your slow cooker. Obviously, you don’t want to get a ham that won’t fit in the Crock Pot. But if it is a little large, don’t panic. I actually got a ham shanck that was a little too big for my slow cooker. The lid wouldn’t fit on. I was able to put some aluminum foil (I doubled it up) over the top and it worked completely fine. Some of the tooth picks even poked through but it didn’t affect the cooking at all. 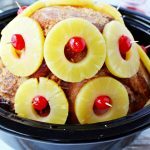 Drain pineapple juice into bottom of slow cooker. Add ham, cut side down (fat on top). Spread with brown sugar seasoning. I found it best to work with my hands and press it into and on the ham. 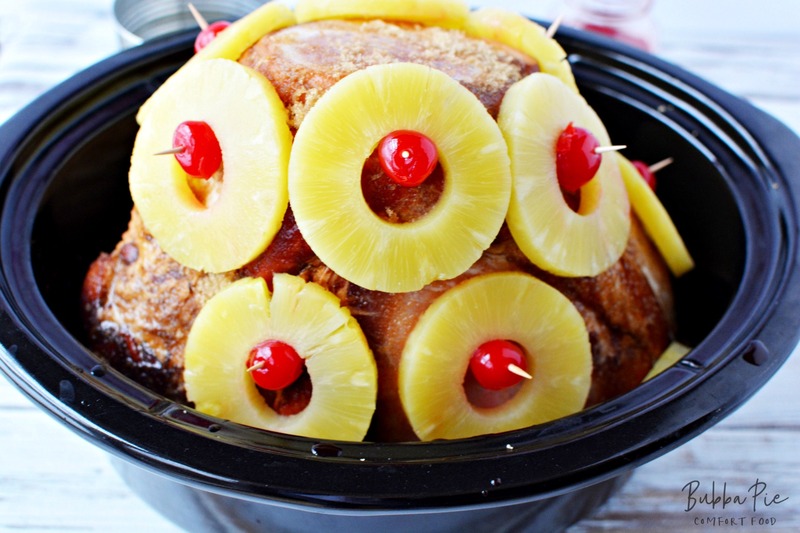 Use toothpicks to add cherries and pineapple to ham. Cover with 2 layers of foil if your lid will not fit on the crock. It’s okay if the tooth picks poke out of the foil. Heat on low for 7-8 hours until heated through. 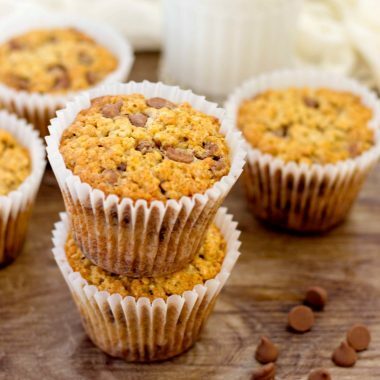 Remove pineapple and cherries and discard toothpicks. Slice and serve with pineapple and cherries. Cover with 2 layers of foil if your lid will not fit on the crock. It's okay if the tooth picks poke out of the foil.